Fertile chicken eggs inoculated with *Chlamydophila psittaci* may show embryo mortality 3-10 days after inoculation. Vascular congestion, seen in the bottom embryo, should be verified in the embryos that have died. A normal non-inoculated embryo is shown on the top for comparison. Two chicken embryos are present in this photo. 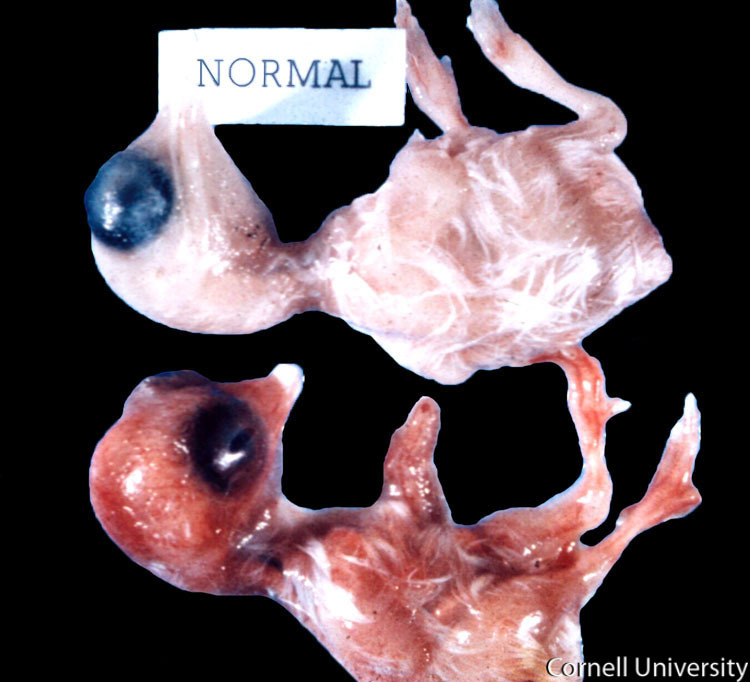 The top embryo is normal. The bottom embryo is from an egg inoculated with *C. psittaci*. The tissues of the bottom embryo are reddened.